American Association of Neurological Surgeons and the Brain Trauma Foundation—Joint Section on Neurotrauma and Critical Care (1995). Guidelines for the management of severe head injury, pp. 61-102, 119-62, 413-28. Brain Trauma Foundation, New York. Diaz-Marchan, P.J., Hayman, L.A., Carrier, D.A., and Feldman, D.J. (1996). 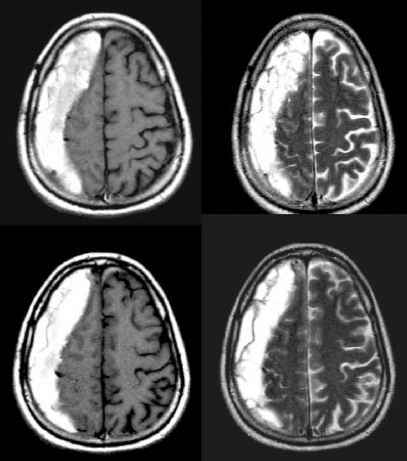 Computed tomography of closed head injury. In Neurotrauma (ed. R.K. Narayan, J.E. Wilberger, and J.T. Povlishock), pp. 137-50. McGraw-Hill, New York. Hankins, L., Taber, K.H., Yeakley, J., and Hayman, L.A. (1996). Magnetic resonance imaging in head injury. In Neurotrauma (ed. R.K. Narayan, J.E. Wilberger, and J.T. Povlishock), pp. 151-62. McGraw-Hill, New York. Marmarou, A. (1996). Pathophysiology of intracranial pressure. In Neurotrauma (ed. R.K. Narayan, J.E. Wilberger, and J. T. Povlishock), pp. 413-28. McGraw-Hill, New York. Valadka, A.B. and Narayan, R.K. (1996). Emergency room management of the head-injured patient. In Neurotrauma (ed. R.K. Narayan, J.E. Wilberger, and J.T. Povlishock), pp. 117-36. McGraw-Hill, New York.